Remodeling can be exciting but, sometimes, all the little decisions can feel overwhelming. Adding paint and flooring is one of the quickest ways to transform a room during a remodel. Depending on your design theme, you may select a different flooring to accomplish a different look. For example, tile is a great way to add elegance and class to a space. Choosing the right grout can be challenging but a great way to make or break a room’s design; however, do not let this task intimidate you. We put together our top three ways to determine what is the best grout for any application. Let’s take a look! Solid colored tiles are usually the easiest style to pick the correct grout. 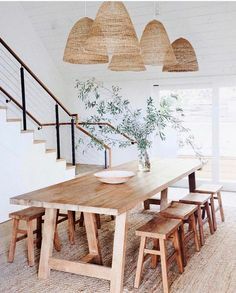 Matching the color as close as possible is typically the default technique but choosing a shade lighter or darker can help with the room’s color theme. Lighter colors on smaller tiles can help open up the room and make the illusion that it is bigger, whereas going a shade darker may make a room feel smaller and more condensed. On the other hand, dark colors can hide dirt easier so consider what values are more important to you and the overall space of your space. With glass tile, it is best to go with a neutral color. Neutral tones like beiges or tans can allow the glass to be a focal point of the room and not feel overpowered by the grout color. 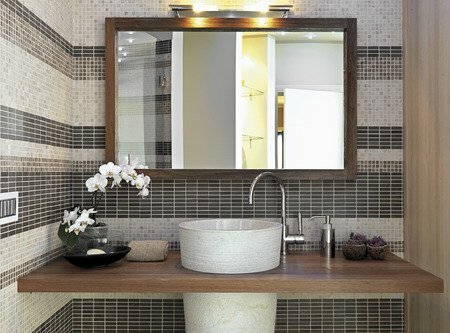 White and black are also excellent choices to use in your home with mosaic tiles. These neutral do not affect the room’s color theme and can allow for a hard contrast to help your tiles to pop. Patterned tiles give you the freedom of matching any color found within the design. A neutral-toned grout can be ideal for allowing all colors to shine in the design. Plus, neutral grout colors are great for cool or warm toned tiles. Applying a neutral grout for patterns is always a safe route if you do not want to decide on just one color from the tile’s design. When selecting the perfect grout, do not feel overwhelmed. For solids, try to find the closest matching color possible. Remember neutrals are always a safe option as well. For more tips and tricks, visit us at Century Tile. 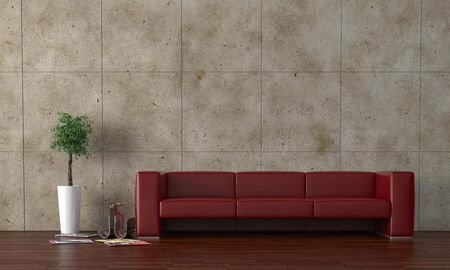 While ceramic and porcelain can add beauty to your home; if you’re searching for a unique tile material then you might want to consider slate. Yes, slate tiles are often overlooked when it comes to designing the interior of a home. Slate tiles are inorganic which means that they aren’t produced from a plant based substance. However, it can be the tile that really makes a space stand out. Slate is a type of natural stone that derives from a metamorphic rock. This means that it took several years to form through the compression of water and minerals that are found below sea level. This is perhaps the most durable tile option because it’s rough exterior is able to stand up to just about anything. So what exactly can you do with slate tiling? Of course, you can opt to use slate tiles on your floor as opposed to hardwood, ceramic and other types of flooring options. 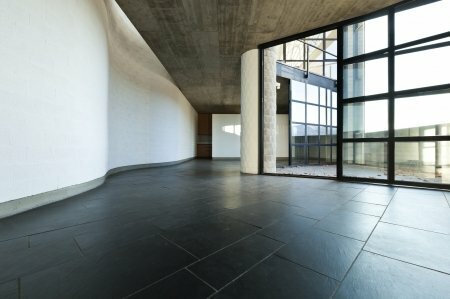 It’s a unique flooring solution because no two slate tiles will be exactly alike when you install them on your floors. Yes, the color consistency will slightly vary on each tile. Using slate tiles on your floor is great for homeowners who are interested in steering away from non-traditional flooring. Using slate tiles at the entryway or in the mudroom is ideal. It makes for a gorgeous contrast against hardwood floors when it’s installed in the entryway. It’s durable and it stands up to water damage so you don’t have to worry about ruining the floors with wet boots in the mudroom. Slate tiles aren’t limited to the floors. They can be just as attractive when installed on the walls. You can create a slate tiled wall in virtually any room in the house including the bathroom. 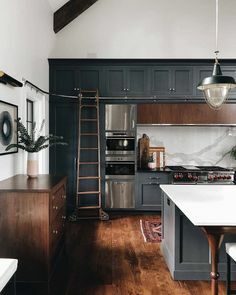 Exposed slate creates a rustic feel and is super chic. Is it time to update the look of your fireplace? Brick isn’t your only option. You can also install slate tiles around the area. Slate is heat, flame resistant and you won’t have to worry about soot building up on the tiles. Why Tile? Here are 4 reasons why tile is always a good choice for your home! 1) It’s a stunning addition to any room in your home! 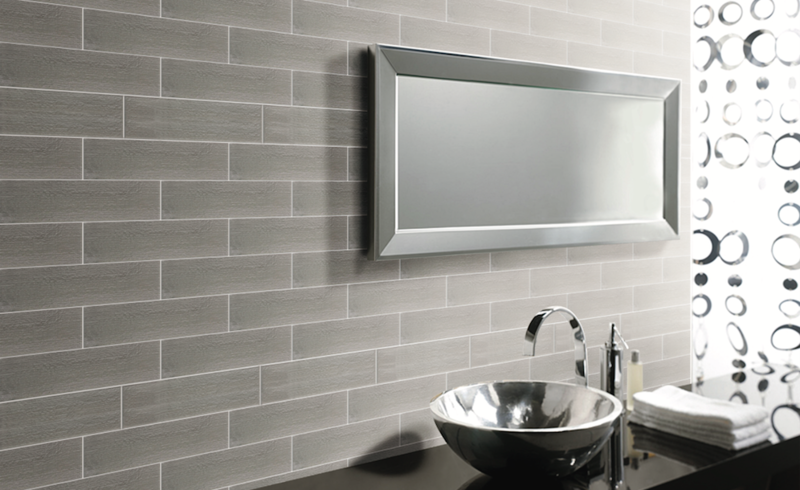 Tile is gorgeous and so versatile with endless design options for every style! 2) Tile is healthy. Tile does not host mold, germs, dust mites or bacteria, which means cleaner and safer air in your home. 3) Tile is cost effective. When you consider the expected life cycle of tile, it is a low cost choice for you and your family! 4) Tile is always a choice you can feel good about! Ceramic and porcelain tile do not emit volatile organic compounds and are created with naturally occurring clay and minerals. Ceramic or Natural Stone Flooring? So what will it be? Beautiful ceramic or rustic natural stone flooring? When making the final decision on what type of flooring material you’re going to install in your home it involves much more than simply how the tile will complement the interior. In addition to style, functionality, durability, and safety should be taken into consideration. Deciding whether to go with ceramic or natural stone can be a tough decision. That’s why it’s important to understand the disadvantages and the benefits of each flooring material. Beautiful ceramic tiles are often installed in common areas of the home such as the bathroom and kitchen. Ceramic flooring materials are evaluated and rated by the Porcelain Enamel Institute. Standard ceramic tiles have a PEI rating of Class 1 to Class 3. This means that the flooring can handle the moderate impact. The quality and durability of ceramic flooring largely depend upon its classification. So the higher the rating the more foot traffic the tile can stand up too. If you desire a flooring material with a distinguishable design or pattern and color then you’re likely leaning towards ceramic tiles. Ceramic flooring is available in a wide array of rich hues, textures, and sizes. One of the best features of ceramic tiles is that it can capture the look of various flooring styles such as hardwood and stone. 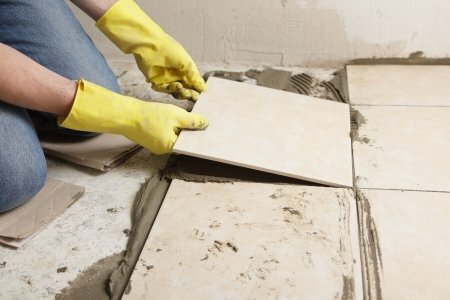 Ceramic tiles are easy to maintain. Its smooth texture allows for sealant and cleaning products to be evenly distributed over the surface. It’s also more resistant to scratches and scuff marks. Ceramic floor materials are affordable with a price range from $3 to $7 per square feet. Ceramic tiles are often manufactured in production runs. As a result, there can be drastic size variations between lots. Therefore, you’ll want to make sure that the caliber and lot number are the same throughout your order. Resurfacing and repairing ceramic can be a bit difficult to keep that in mind when considering installing ceramic in high-traffic areas. Also, ceramic isn’t considered a high-end flooring choice and can appear a bit plastic. That’s why it’s essential to choose the right type of ceramic flooring. Since natural stone floors are composed of natural materials it is super durable. It’s resistant to harsh weather and extreme wear. Unlike ceramic, natural stone is considered to be an upscale flooring material because the look can’t be simulated with synthetic materials like most flooring types. Installing some type of natural stone floors will increase the overall value of your home. The uniqueness of natural stone makes it expensive. Natural stone has an inconsistent texture and color. Therefore, it may be a bit of a challenge to get a consistent or uniform look. Maintaining natural stone floors aren’t easy. The unevenness makes it difficult to clean and apply sealant too. Glass tiles have been a major aesthetic component in homes all across the world. We’ve seen the beauty of accent glass tiles as backsplashes in our kitchens and we love how distinct they make our shower walls look. Since glass tiles are extremely versatile they can be applied in almost any area of the home. Glass tiles can be purchased in all kinds of finishes including opaque and reflective glasses. Since glass reflects light and can visually expand a space and it can keep a room brighter for an extended period of time it has several advantages. If you think you’ve exhausted the ways you can use glass tiles in your home, here are some additional ideas. Make the fireplace the focal point of the room by decking the hearth out in mosaic glass tiles. The hearth may be the last place you thought seeing glass tiles but it makes for a durable and simply breathtaking surrounding. Imagine watching the light from the fire dance in the glass. 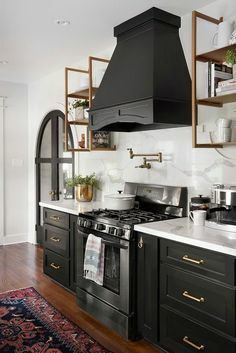 To make this look unique you should invest in tiles with different color blends and designs. Glass tiles are ideal for the hearth because the maintenance process is relatively simple. It doesn’t stain, it can be easily wiped clean and when grouped together glass is extremely durable. Take the backsplash concept a bit further by extending glass accent tiles across the entire wall. If you’re feeling adventurous you can carry out this concept in an area other than the kitchen or bathroom. You can create a mural across the length of the wall. Don’t limit the design to the traditional subway pattern. Instead, you can create a transitional look by spinning the tiles. Use glass tile that complements the decor of room for an outstanding effect. Can’t seem to find the perfect headboard? Consider creating your own massive headboard using glass mosaic tiles. Adhere them to the wall behind your bed. Get creative and form tiles to create a specific design. Use tiles featuring different colors and accents to really make the headboard stand out.